We are officially entered in the autorama . We could use some help setting up the display on Thursday feb 14. Also need people to man or woman the display during the show. Let Bob know if you can help. 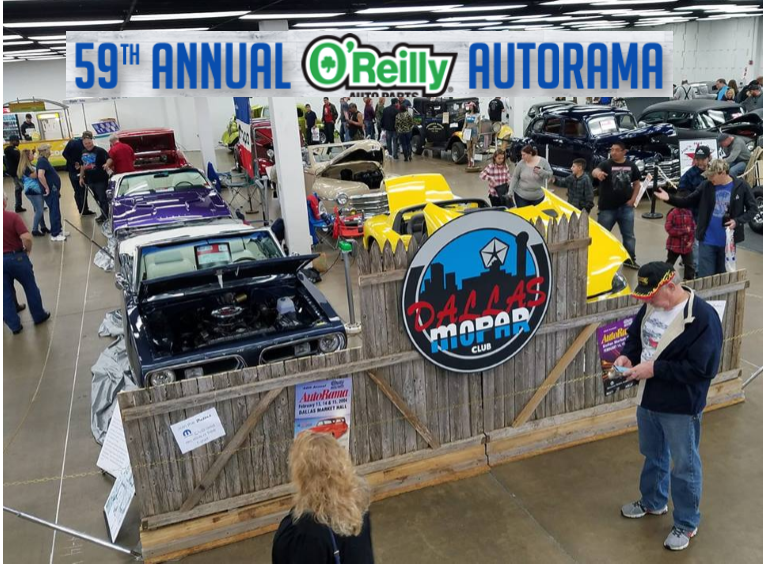 The Dallas Mopar Club is an organization of like-minded individuals united for the purpose of preserving the heritage of Chrysler Corporation vehicles and promoting interest through car shows, cruises, rallies, swap meets, and other organized events.